I am SO ashamed of myself, I have been so, so super busy recently I’ve been neglecting my poor blog 😦 but now I’m back and I’m preparing for my holiday on Friday! 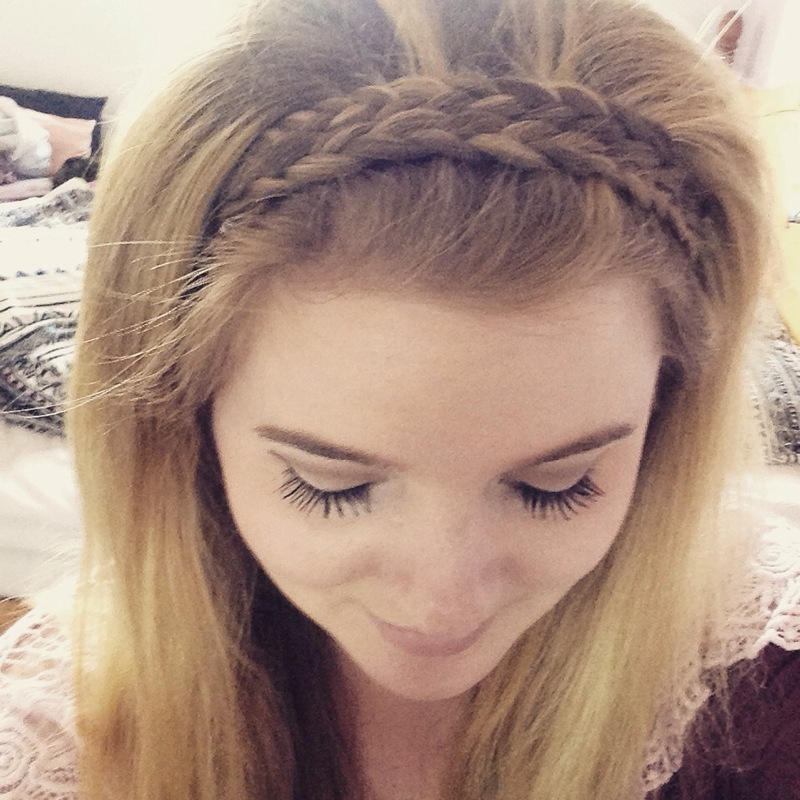 I get really bored of my hair styles very quickly and I wanted something cute, quick and easy to wear for my holiday so….I decided to try a halo braid! And here it is! It was really easy to do and if your crap at hair, like me, then this is a perfect look for you! You basically start by tieing your hair half up, had down to get the majority out of the way. Then each side, take a piece of hair (as thick as you want) from just behind your ear, plait it and secure it with an elastic. Once you have done this both sides, let the rest of your hair down and back comb it away from your face and brush it back, fixing it with hair spray. Once you’ve got the volume you want, take the plait on your right side and bring it over your head and pin it behind your left ear and do the same with your left hand plait. And Ta Da!!! I might have a go. Bet it won’t look as good as this though! i did this hairstyle recently, it’s so easy to do and looks amazing! Such a gorgeous hair style! & can we talk about your lashes omgg ❤ !! So beautiful, I hope mine ends up like that lol!